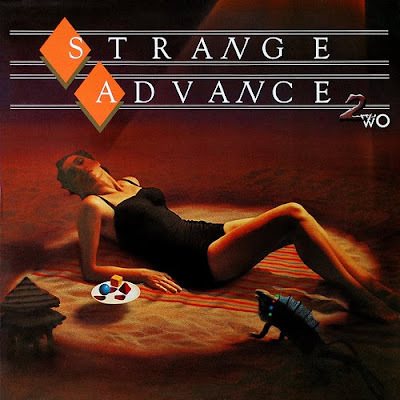 ellehermansen: I want to cover this: Strange Advance "Love Becomes Electric"
I want to cover this: Strange Advance "Love Becomes Electric"
This 80s band out of Vancouver, Canada, has a song that is a diamond in the rough. I've been singing it for a few weeks and never figured out the proper lyrics until it came to me just now; "Our Love Becomes Electric". Thus, I just typed that in along with "Canadian band" and finally found a song I couldn't find for months. This is song is on the list of serious covers I would love to work on. I hear it and how it should be and that is in the key of awesome. Check out Strange Advance and their brilliance with "Love Becomes Electric" below. I grew up with Strange Advance. My friends and I loved them. I still play their stuff after all these years. They are the sountrack of my high school years! I also love them so much! So happy you found my blog! I'm glad there is a resurgence of 80's influenced music. I ALWAYS love to hear remixes and reinterpretations of music of that era. If Strange Advance were practicing their art today ...I'd love to hear their new evolved sound. If you ever do a version of their music. Please keep me in the know! It is a great song, isn't it? My good friend and musical partner Darryl wrote it. I too would love to hear your version of it, so get on it!